Lakeland Lawn Care in Paducah, KY is a lawn care contractor. If you believe that simply mowing your lawn regularly is enough to maintain the beauty of your lawn, then think again. Weeds keep on developing unless you hire lawn care professionals for regular grounds maintenance. Call Lakeland Lawn Care for complete and maintenance of your lawn. Different types of lawns need special fertilization and aeration services. 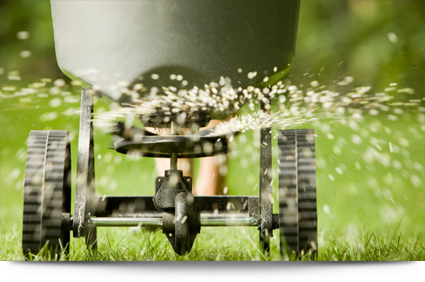 Our experienced professionals do an in-depth analysis of the soil and grass before drawing a complete lawn care program. We have been serving the residential and commercial clients of Paducah, KY and the surrounding areas for more than 25 years. Save your exotic plants and the overall greenery of your lawn. Let our experts offer you a completely customized lawn care program. Call us to set up an appointment. Copyright © 2013 Lakeland Lawn Care. All rights reserved.